When I had the pleasure to meet Irina and her family in the center of Rome I had thought that the other girl was her sister… but I had mistake, she was her daughter!!! Irina was come in Rome with her husband and their daughter and also Irina’s parents. 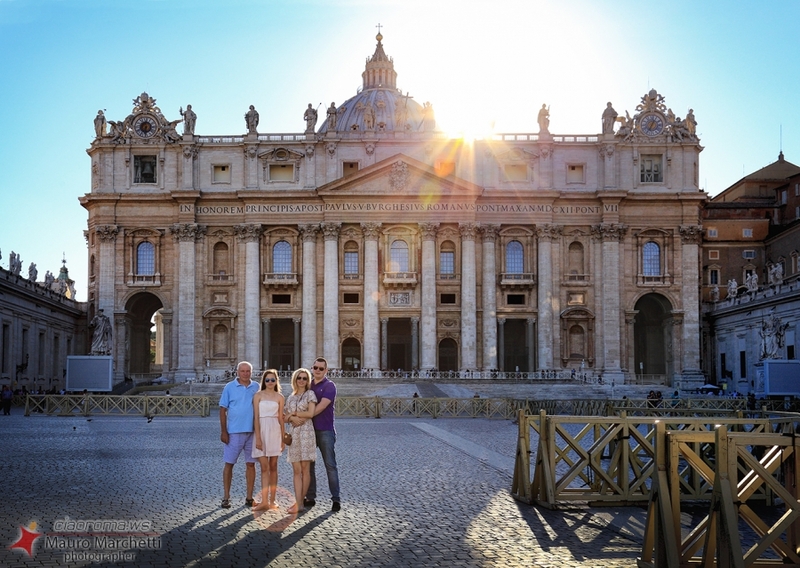 The photographic session family was started in Saint Peter’s square where the beautiful sun was going down on the back of the big cupola and gave me a nice flare that come inside my lens camera to enhance my photo. The young Irina’s daughter felt embarrassed to be alone in front of my camera but I couldn’t miss to photograph her natural beauty so I did some great shots to her, just see her photo near the columns and you will understand better what I mean. Another beautiful photo is the one outside the Saint Peter Square with Irina and her daughter with the sun on their back: the yellow sun light and their beautiful pose with the enormous Vatican city in the back make this one a gorgeous photo! To shot this photo I was helped by mine external speedlite flash to illuminate their faces because without the speedlite their faces were shadowed. On the way we had met a new nice red Vespa that we used for some other photography. The other beautiful photos that I like were taken on the Castle of the Holy Angel Bridge with Saint Peter Basilica in background, Irina and her husband engaged in some lovely moments that I had captured with the beautiful flare light through my lens. Their one hour photo shoot was near to end so I close last photo session on one side of the Tevere river surrounded with poplars tree and the entire Irina’s family. A very beautiful family photos! Well done Mauro. I enjoyed your article. 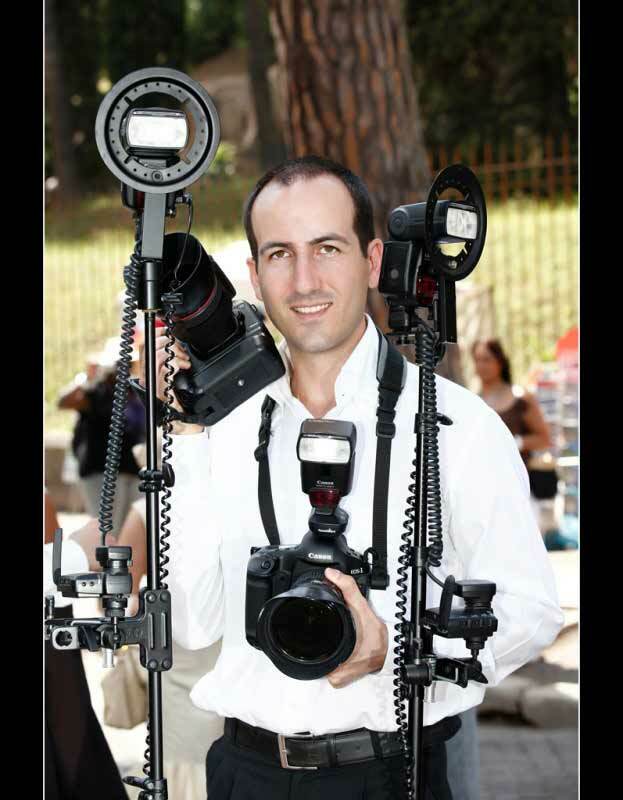 Do you use filters for outdoor photography? If you can t do golden hour shoots and there is no shade, what do you do? Thanks so much 🙂 I use usually only the UV filter that is always mounted on my lens (indoor and outdoor). The best answer to resolve the second question is to put the subject betwen sun and me. I live in the Northeast and during golden hour on a clear day, the sun is so intense that no one can look into it. What do I do in a situation like this? I m shooting a family at the beach with no shade during golden hour! What to do?? I suggest you to use some flashes, if you have Canon, Speedlite 600EX-RT, this model have more power that contrast the light of sun.